We Provide the most recent techniques for cataract extraction using ultrasound phacoemulsification and Femto-laser assisted cataract extraction with implantation of all kinds of premium quality standard intraocular lenses (IOLs) including monofocal, toric and multifocal lenses. 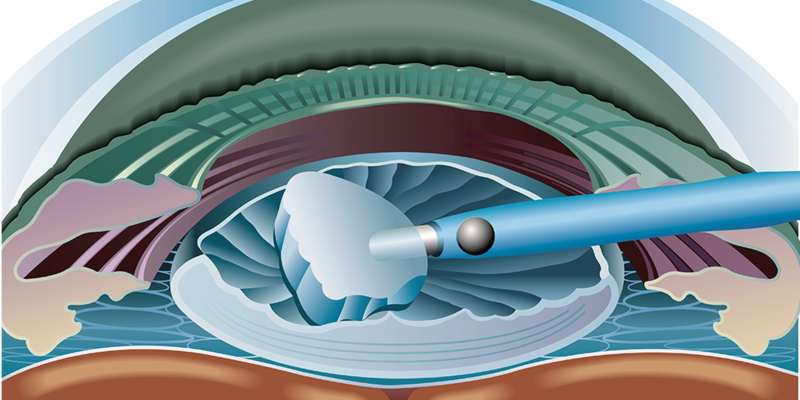 What’s more is the new magnificent Femto-laser assisted cataract extraction which allows for safer cataract extraction with better results and higher accuracy than any mechanism that has ever been used before, it allows for more precise construction of corneal wounds and is presumed to decrease the amount of ultrasound power used during phacoemulsification of cataract. Different types of premium quality standard intraocular lenses are available to implant after your cataract removal, your cataract surgeon; Dr. Mohamed Omar Yousef will help you choose the best and most optimum kind based on your life style and daily demands. You can now say GOODBYE to both your distance and reading glasses; both just by having your cataract done and intraocular lenses implanted. If you are one kind of a person who had suffered a high astigmatic error throughout your life, then your ultimate choice would be the TORIC intraocular lenses, eliminating not only your cataract but also all your astigmatic error, providing a safe and perfectly impressive refractive solution. We hereby include the ability to implant multifocal intraocular lenses that help you achieve best quality distance and reading vision with no more need for reading glasses. It has been much appreciated by all sportsmen and women over the world; Golf had never been easier. If you have a desk job or a job that demands a lot of paper work, we can only encourage you to have your eyes multifocalized. Innovation never stops; IOLs now include the toric multifocal lenses where you can easily forget u ever needed glasses. So many inventions, YOU NAME IT … WE PROVIDE IT.